LOS ANGELES – The 10th-ranked USC women's volleyball team (1-0) defeated No. 5 Kentucky (0-2) in four sets (22-25, 25-22, 25-23, 29-27) to break the seal on the Brent Crouch era on Friday, Aug. 24. The Women of Troy got 19.0 points from three different players to record their first win at the 2018 Trojan Invitational at Galen Center. So. OH Brooke Botkin had 19 kills (6e, 49att, .265) and 11 digs to post her second-career double-double. Jr. OH Emily Baptista posted 18 kills with only one error (31att) to hit .548 and picked up a pair of blocks for 19.0 points. Jr. OH Khalia Lanier scored 17 kills (6e, 48att, .229), nine digs, and two service aces. Jr. MB Jasmine Gross collected eight kills (3e, 21att, .328) and had two blocks. Fr. S Raquel Lázaro dished out 55 assists to go with six digs and two blocks. Her 55-assist total is the highest single-match total by a Trojan setter since the 2012 season (Hayley Crone). Sr. L Victoria Garrick led the Trojans with 21 digs and matched her career high with three service aces. 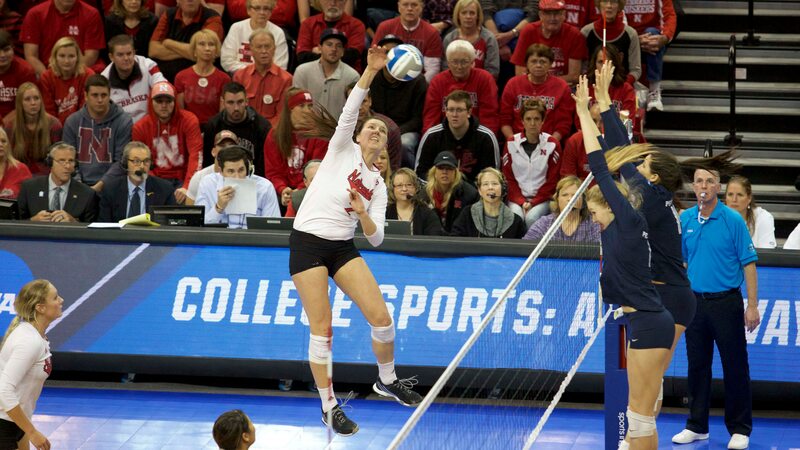 The first set was tied 14 times, but the Wildcats broke the final tie with a 3-0 run to score a 25-22 win. UK hit .382 (15-2-34) in the set to outpace USC's .205 (14-6-39) effort. The Trojans trailed by as many as seven points (11-4) in the second frame, but got seven kills from Botkin, five from Lanier, and four from Baptista to hit .382 (17-4-34) and evened the match with a 25-22 win. Baptista sparked the Trojans to a 25-23 win in the third set with five kills. USC built a 24-20 lead but had to fend off a late charge by Kentucky to take a 2-1 lead in the match. With 17 ties and three lead changes, the Women of Troy went the distance for a 29-27 win in the fourth set to seal the deal. Baptista collected six more kills and Garrick put up eight digs in the final frame. The Women of Troy have an early meeting (10:30 a.m. PT) with Northern Iowa (1-0) on Saturday (Aug. 25) and then have a long break before a bout with No. 13-ranked Creighton (1-1) at 7:30 p.m. at the Galen Center to close the Trojan Invitational. The Women of Troy improved to 5-1 in all-time meetings with Kentucky and avenged a loss to the Wildcats last season. USC improved to 36-7 in all-time season openers and to 11-2 all-time when the season-opener is a home match. In home openers, the Trojans improved to 36-7 as well with a 9-3 mark in home openers at the Galen Center (since 2007). Head coach Brent Crouch became the fifth (out of six) Trojan head coaches to win his/her first match at the helm.